The Architect of Style shop online has been launched and gone live today. The shop features fashion illustrations by The Architect of Style founder and blogger Gisselle Jimenez. The first line includes four collectible Watercolor and Ink prints limited edition of a 100 prints, printed on a heavy Felt texture cardstock that is acid-free. The prints are available in 8”x10” with White Matting or 11"x14 (with no Matting. Prices starting at $25.00. 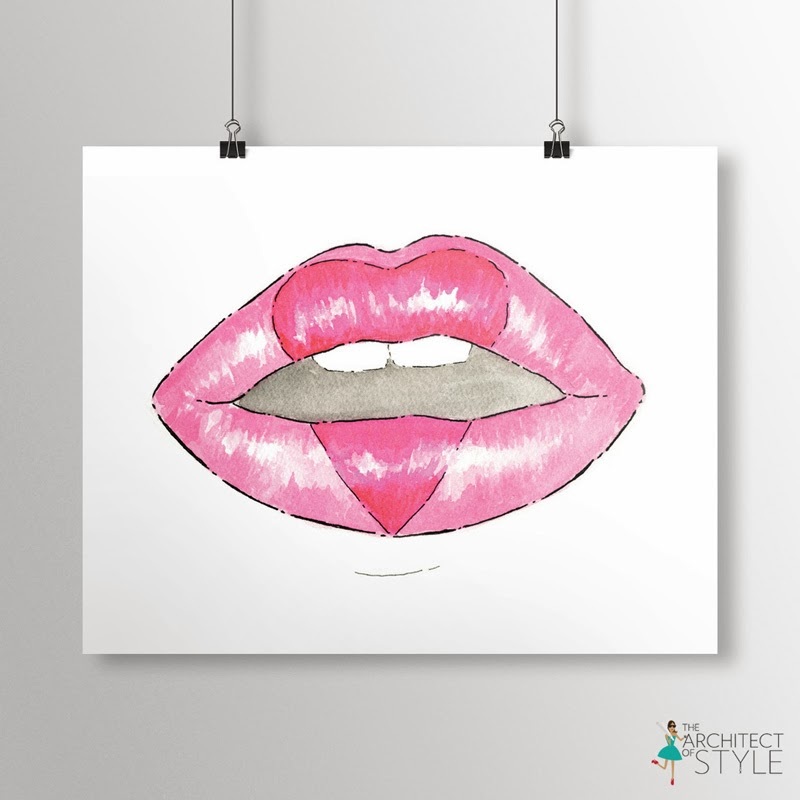 These minimalistic style prints are perfect to decorate the home and desk of any modern fashion girl. Prints are available at: www.thearchitectofstyle.com / www.thearchitectofstyle.bigcartel.com. SO do you feel the LOVE yet or what? One of you will be lucky enough to win a copy of this illustration designed especially for Chic Streets and Eats. Don't waste any time, this illustration needs to be hung in your office, room or around your home now, to enter for your chance to win see below.